FRAIL – Royce C., 87, of Dartmouth, passed away peacefully in Dartmouth General Hospital on Monday, January 25th, 2010..
Born in Harmony Mills, Queens County, he was a son of the late Henry J. and Gladys (Waterman) Frail. 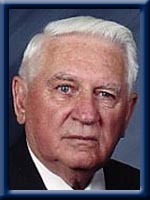 Royce was a veteran of World War II serving overseas with the R.C.C.S. Signal Corps. Following the war, he worked with MT&T for 42 years retiring as a supervisor. He is survived by his daughter Patricia (Peter) Silver of Broad Cove and his son Brian of Hatchet Lake. Grandchildren: Matthew and Aaron Silver and Laura Frail. His sisters Irene Trider of Ontario and Nadine Livingstone of Dartmouth. His brother Henry (Barb) of Greenfield Park, PQ. His sisters-in-law Irene Frail of Greenfield Park, PQ and Madeline Frail of Dartmouth. He was predeceased by his wife S. Winnifred (Rose) and brothers Eugene and Rodney. Cremation has taken place under the direction of Chandlers’ Funeral Home Liverpool. A graveside service will be held on July 24th, 2010 at 2:00 p.m. in Harmony Cemetery. Reverend John Boddy officiating. No flowers by request, Donations may be made to Heart and Stroke Foundation of Nova Scotia or the Alzheimer Society of Nova Scotia. Online condolences may be made to www.chandlersfuneral.com. I met Royce through Jeanie last year when she broke her arm and I drove her to his house. Being the caring person he was he insisted on having her spend time at his house so he could make sure she was doing okay.. I have fond memories of a lobster meal with he and Jeanie when we lived in Lunenburg. Royce and I spoke of it just over a week ago. He mentioned looking at the pictures from the occasion. He was a wonderful kind-hearted man. He will be missed. Whenever I spoke on the phone or in person to Mr Frail, he was always a gentleman and very kind to me. He would inquire as to how I was doing and and always called me by name. I will miss this truly wonderful man and have been blessed to have known him for so many years. Royce was one of the most compassionate and thoughtful people I knew. He was always ready to lend a hand , an ear, the shirt off his back. He loved his family and friends and was loved in return. I will miss him. I was very sorry to hear of Royce’s passing. He and his family have been our next door neighbors since I was a child playing with Pat, and for the past few years our daughter Jenna and her family have been his new neighbors, having taken over our family home. We all enjoyed our chats outside with Royce on a sunny day. He always had such a positive attitude and great sense of humor. We shared our experiences when Winnie and my Dad were in Camp Hill on the same unit. Royce loved his family deeply, and was very proud of Matthew’s success in joining the RCMP. He was a wonderful, caring neighbour and we will all miss his presence on Russell Street very much. Our condolences to you at this sad time. I will always remember Royce from our time working together at MT&T. He was and will be a man I respect very much. I ran into him several years ago in Bridgewater and he still remembered me which I found remarkable since I left the company 30 years ago.I think of him often and my sincere simpathys go out to his family. Sorry to hear about your Dad. Our thoughts are with you and your family. I MET YOUD DAD AT DARTMOUTH HYUNDAI WERE I SOLD HIM HIS FRIST SONATA, EACH AND EVERY TIME ROYCE CAME INTO OUR DEALERSHIP HE AND I WOULD HAVE A CHAT, WHICH I MIGHT ADD I ENJOJED. ON ONE OCCASION HE EVEN BROUGHT HIS GRANDSON IN FOR A VISIT , ALSO TOLD ME ALL ABOUT MATHEW GOING INTO THE RCMP. I WILL MISS OUR CHATS AND HIS TWINKLING BLUE BLUE EYES. HIS LAST VISIT MUST HAVE BEEN ABOUT THREE WEEKS AGO AND HE APPEARED TO BE HIMSELF SO WE WERE VERY SHOCKED AND SADDENED TO HEAR OF HIS PASSING. My sympathies to the Frail family. I spoke with Mr. Frail early in the new year as I had heard he had been in the hospital. I asked him to visit us soon. I was saddened to hear of his passing. I have known Mr. Frail for over 10 years and he was a thoughtful gentle person. Mr. Frail was my supervisor for a number of years with MT&T in Halifax and then New Glasgow. He was a fine gentleman and I had great respect for him. He certainly made my job easier. My sympathy to your family on the loss of your father, and grandfather. We didn’t have the opportunity to get to know Royce really well, but we consider his daughter and son-in-law to be among our closest friends. Royce must’ve been a wonderful person and a caring and loving dad to raise such a wonderful daughter. AJ and I remember talking with him at the camp, and he was showing us his new car. We remember commenting, after, how wonderful it is to have such spirit and zest for life that you buy a brand new car in your 80s. Notwithstanding his age, Royce seemed like a young and vibrant man. I’m sure his family will cherish their many wonderful memories of him. Please accept our sympathies.